They created a very nice website, it looks very professional and they also had a very good price! Their SEO designers are absolutely brilliant really helped out my sales because of them! 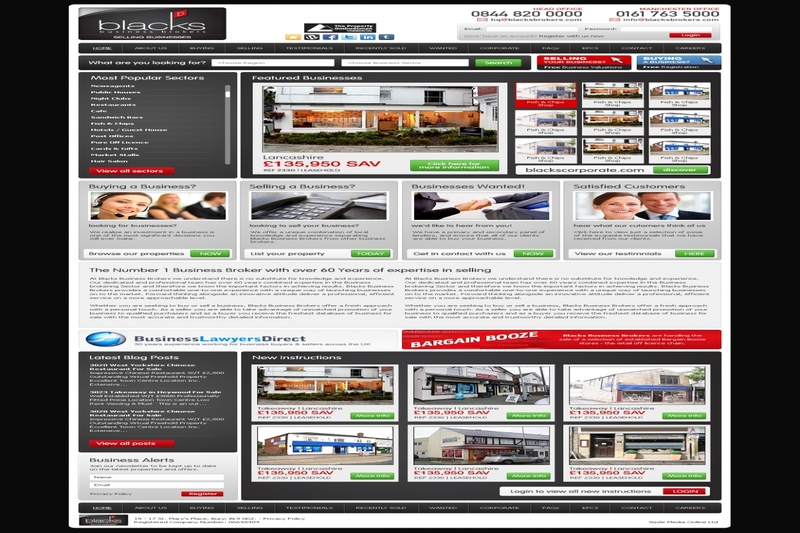 They are brilliant website designers with very competitive prices! Based in Manchester's innovative creative hub - The Sharp Project, Sizzle Media have been serving clients across the UK with award winning web design and SEO services since 2005. Sizzle Media web design Manchester provide a wide range of websites from simple brochure sites, high traffic ecommerce projects, through to bespoke websites that are tailored to your specifications and business processes. Working with the Sizzle Media team, you will find we are very easy to work with, deliver an excellent return on investment, and create visually stunning and functional websites that rank highly across the major search engines.Coupled with our skilled Search Engine Optimisation services, we can help your business to leverage maximum results from the internet.Call us today on 0161 820 8577 to discover how we can help your business. Do You consider how people browse? Manchester companies should consider how people use the internet throughout their use of Search Engine Optimisation. This must always be a key consideration throughout your SEO campaign and all of the content you create to bolster it should appeal to web users and be likely to attract them.Looking for informationMost of the time, people are trying to find out information when they go online and type a query into Google, so they want to see quality content telling them what they want to find out in their search results. If you can manage to provide this through your website, you will rise through the organic search results and attract far more traffic to your company.If you can get internet users to visit you and they like what they see, they will click through to your other pages and will buy your goods and services, or will remember your site, link to you on other websites or through their social media accounts, and might give you custom in the future.You could answer their questions or provide resolutions to their problems and follow it up with details of relevant goods or services that you provide, which is a good way to get people to do custom with you and can improve your online reputation and directly convert traffic into sales.Content is key in SEO and giving your audience the best and most relevant information possible is a sure-fire way to improve your Search Engine Optimisation strategy and achieve your online goals.